Spring is in the air — the crocus are emerging, the robins are delighted and the Friends of the Library are opening the doors for the Spring Book Sale! Come to browse and buy at the Library Book Sale. All proceeds go to the Friends of the Nevins Library and are used to support library programs and services. Thousands of books, puzzles, dvd’s and cd’s. Prices range from $ . 50 to $2.00 for most items. Get a sneak peek and chance to buy before the general public comes in on Saturday morning. The cost to enter the Preview Sale is $20 per person. Monday, March 18th 9am-8pm – Bargain Day! 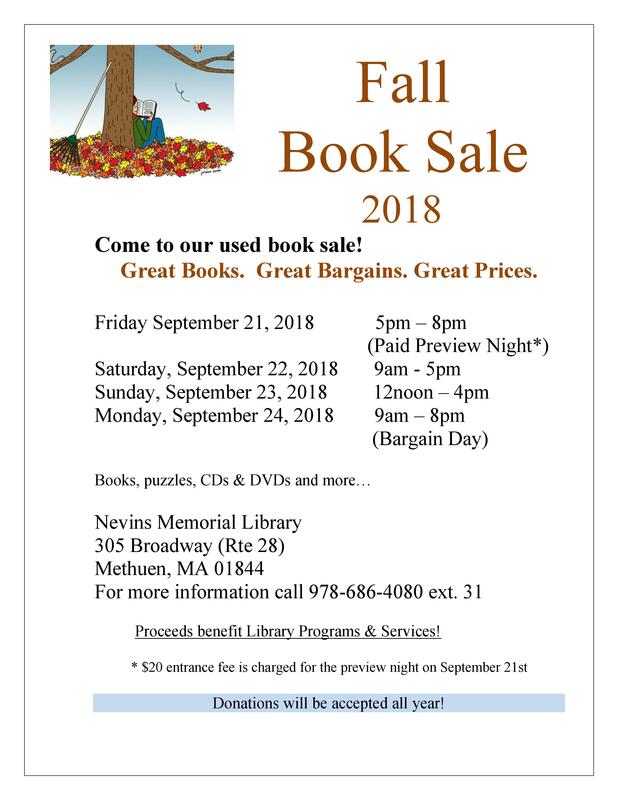 Categories: Book Sale, Books, Community, Friends of the Library, Fundraiser, Library Grounds, Methuen, Town of Methuen | Tags: Book Sale, FOL, Friends of the Library, Friends of the Nevins Library, library fundraiser | Permalink. 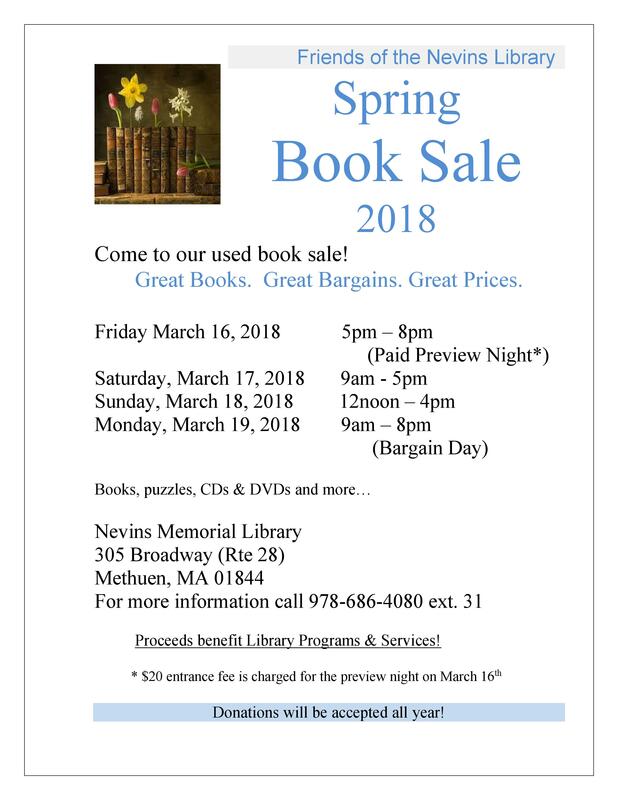 Spring into the Friends of the Nevins Library Booksale! Categories: Book Sale, Friends of the Library, Fundraiser, Library Grounds | Tags: Book Sale, FOL, Friends of the Library, Nevins Library | Permalink. 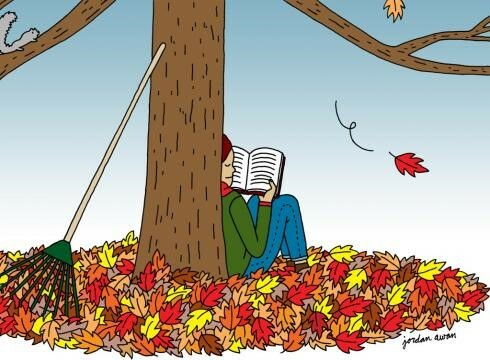 Fall into the Friends of the Nevins Library Book Sale! Categories: Book Sale, Books, Friends of the Library, Fundraiser | Tags: Book Sale, FOL, Friends of the Library | Permalink. Come to our used book sale! Great Books. Great Bargains. Great Prices. Proceeds benefit Library Programs & Services! Categories: Book Sale, Friends of the Library, Fundraiser | Tags: Book Sale, FOL, Friends of the Library, Nevins Library | Permalink. 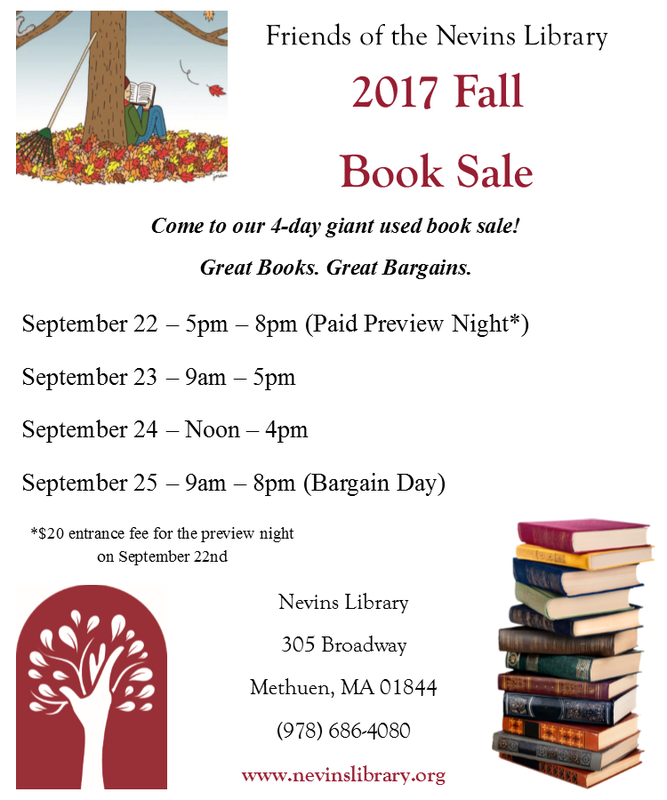 When autumn starts, you know that the Friends of the Nevins Library Fall book sale can’t be far behind… Keep your peepers on this one! Come to our 4-day giant used book sale! Great Books. Great Bargains. Large selection of Vintage and Local History books!! Book Donations accepted until Thursday, September 22th. Categories: Book Sale, Friends of the Library | Tags: Book Sale, Friends of the Library, Nevins Library | Permalink. Spring is getting ready to, uh well, spring… so that must mean that it’s time again for the Friends of the Nevins Library semi-annual 2016 Spring Book Sale. 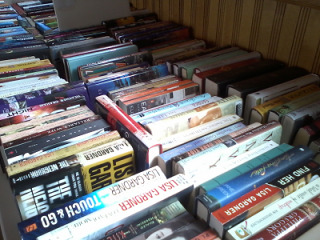 As always, you’ll find great books and great bargains at our 4-day giant used book sale. Friday, March 18th from 5-8pm. Preview Entrance fee is $20. Saturday, March 19 from 9-5pm for a festive day with a sneak-preview of April 24′ s garden fundraiser. Sunday, March 20 from 12 noon-4pm for more books. Monday, March 21 from 9am-8pm for a special Bargain Day. For more information, call 978-686-4080 ext. 31. Categories: Book Sale, Books | Tags: Book Sale, Friends of the Library | Permalink.